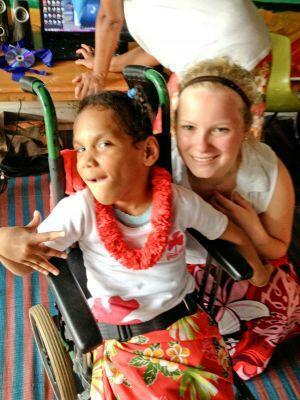 Abigayle’s placement was at Hilton Intervention School in Suva which caters for special needs children. Daily tasks would include singing and doing arts and crafts with the children, as well as teaching them skills. “Devotion and music was conducted in the mornings, followed by skills time where we would do threading or puzzles,” Abigayle shared. “We would then move to arts and crafts so I’d help them color within the lines. Lunch would be at 12 o’clock and I would also help with lunch because some of them were unable to feed themselves,” she added. Volunteers are appreciated at the school, as there are many children who require attention. “There are about five teachers and 50 kids with severe disabilities who require individual attention, so any extra hands are a big help for the kids,” said Abigayle. included me in everything such as family reunions and social gatherings. I felt like I went all over the place there and I loved it,” she enthused. “Before I came to Fiji, I only knew people from America; now I have friends in Fiji and all over Europe and Australia. So now I feel like I have more support when I go somewhere,” she added. 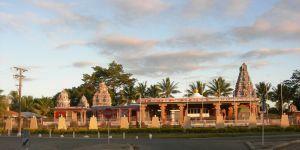 “When you live in such a developed country everything is superficial and coming to Fiji was a nice break from it all. I got to learn and dig into a new culture and learn about them and also about myself,” she added.